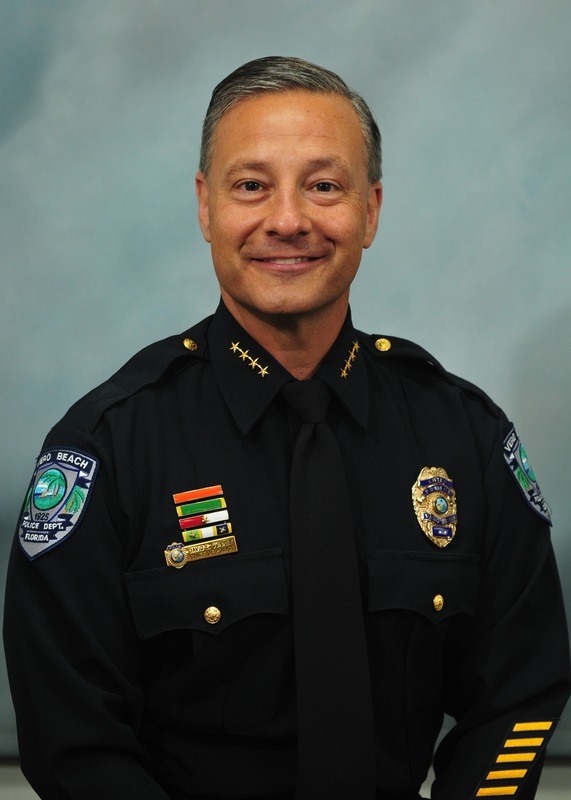 Chief Currey has a Bachelors Degree in Criminal Justice from Stockton State College in New Jersey, and a Masters Degree in Public Administration from Florida Atlantic University. He is also a graduate of the Southern Police Institute Administrative Officers Course in Louisville, Kentucky. He is a member of the International Association of Chiefs of Police, Florida Police Chiefs Association, Treasure Coast Chief's & Sheriff's Association, FBI Law Enforcement Executive Development Association, Southern Police Institute Alumni Association and Pi Alpha Alpha, which is the National Honor Society for Public Affairs and Administration.